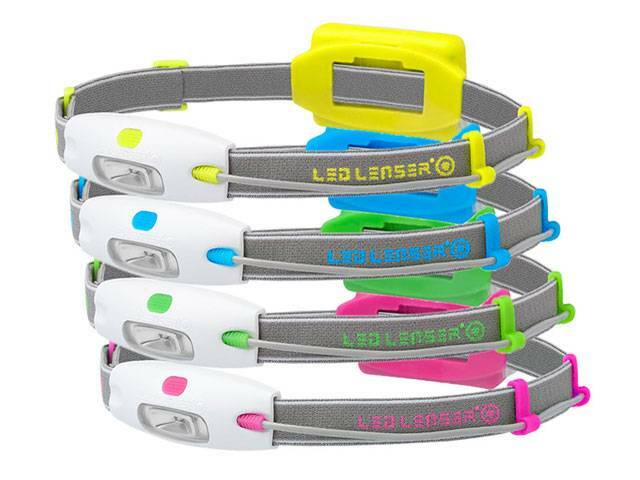 This season LED LENSER sets the trend with the launch of a new range of neon coloured headlamps created for active lifestyle enthusiasts. Fashioned with joggers, families, night-time recreational activities and more in mind, the range is the perfect accessory for runners, work-out buffs and outdoor lovers who don't want to be limited by darkness. Available in five neon colours - pink, blue, yellow, orange and green, the NEO combines the latest LED technology with sleek design and a dynamic colour palette. For the first time, active enthusiasts will be able to select a headlamp that not only illuminates their path, but also reflects their personal style. The LED LENSER NEO features the latest in German engineering, designed to complement our peripheral vision, providing 190 degrees of horizontal illumination and 150 degrees of vertical illumination, to shed light as far as the eyes see. The NEO also features LED LENSER's patented Smart Light Technology (SLT), offering three settings for basic illumination, defence mode, and low mode, with optional battery conservation, weighs only 54g and is splash resistant, making it the perfect light companion for every condition. Thanks to the oval design and the 16:9 Wide Beam Reflector, the NEO offers the ultimate in safety. Combined with a front light for vision, and a red safety back light, the NEO allows its wearer to be seen from any angle, making the headlamp a must-have for a morning run or evening cycle. With 90 lumens, 10m of effective range and 100 hours of battery life, the NEO shines bright enough to illuminate any activity, pushing the boundaries of dawn and dusk. Finished with simple operation via one button and low-cost operation through 3 x AAA, the NEO is this season's must-have accessory for those who don't let darkness stop them. The NEO is available now from leading fitness and outdoor retailers across Australia, from RRP$39.00.